ALL Clan Crests are available in full color. There are no exceptions! Every Clan crest is available. These garments are 100% preshrunk cotton. You can have your Scottish clan crest printed as either a full center crest, (approximately 7"in diameter), a heart shot, (approximately 3"in diameter) or both a heart shot on the front and a full center crest on the back. We can also print your name the way it is spelled today. Sizes available; small, medium, large, XL, 2XL and 3XL. 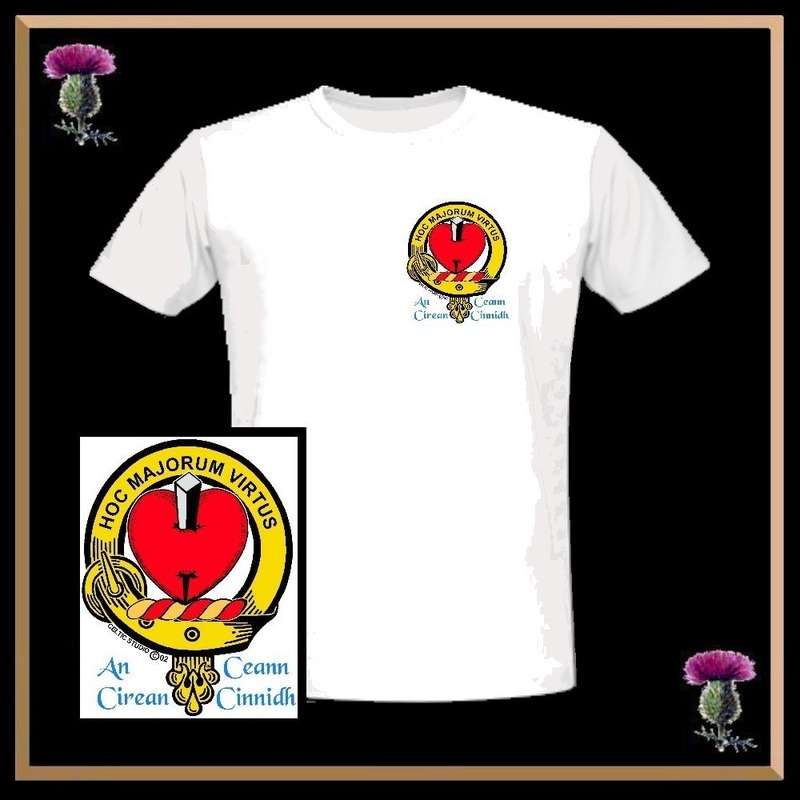 Your Clan Crest t-shirt is custom printed in full color with a heart shot crest on the front. Choose any Clan Crest. You can even specify any spelling of your last name, including all septs. 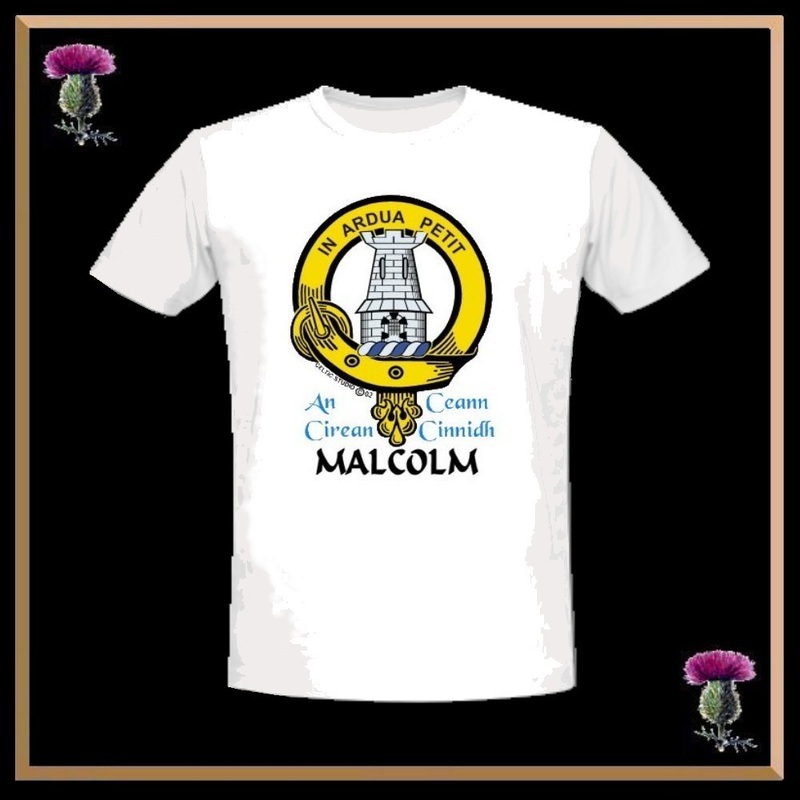 Your Clan Crest t-shirt is custom printed in full color with a full center crest on the front. Choose any Clan Crest . You can even specify any spelling of your last name, including all septs. 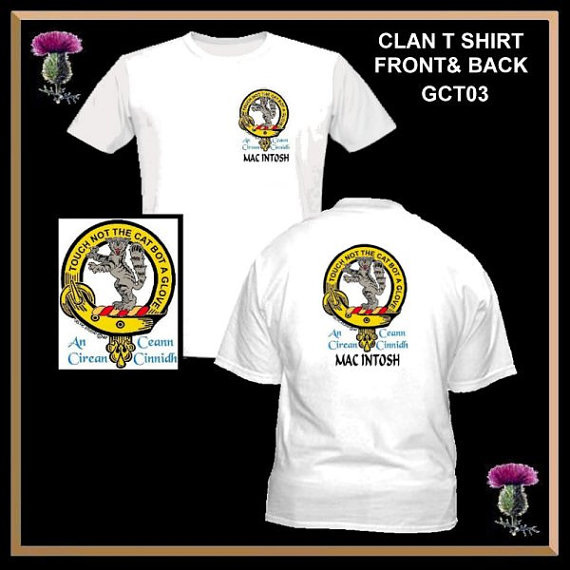 Your Clan Crest t-shirt is custom printed in full color with a heart shot crest on the front and a full center crest on the back. Choose any Clan Crest. You can even specify any spelling of your last name, including all septs.